In recent years, the word kosher has become synonymous with high quality products, rather than just relating to food and wine for the Jewish community. One of the best places to sample such amazing products is at the annual Kosher Food and Wine Experience event, which has been going on for a number of years now. 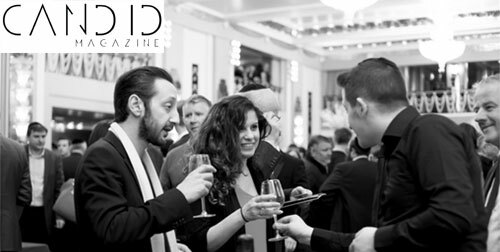 The 2016 edition was held at the recently refurbished ballroom at the Sheraton Park Lane. With over 200 wines on show from 30 top producers around the globe, it made for a truly educational yet entertaining experience. The exhibition doesn't oversell tickets, so there is plenty of space to talk with to wine producers, sample their selections and even discuss issues like wine pairing with food, drinking and storage suggestions. The highlights are almost too numerous to mention. Most will have heard of Château Lafite Rothschild wines, being one of the most renowned and prestigious wines in the Médoc region of Bordeaux; hence it was interesting to see the Rothschild family coming together to produce Rothschild Brut Champagne for the very first time. It has a beautifully balanced taste, which was assertive yet elegant, a clear sign of long ageing in traditional cellars.